If you want to be part of Super Bowl 50, but don't have tickets to the big game, you can still be part of the action and enjoy the celebration happening all over San Francisco. 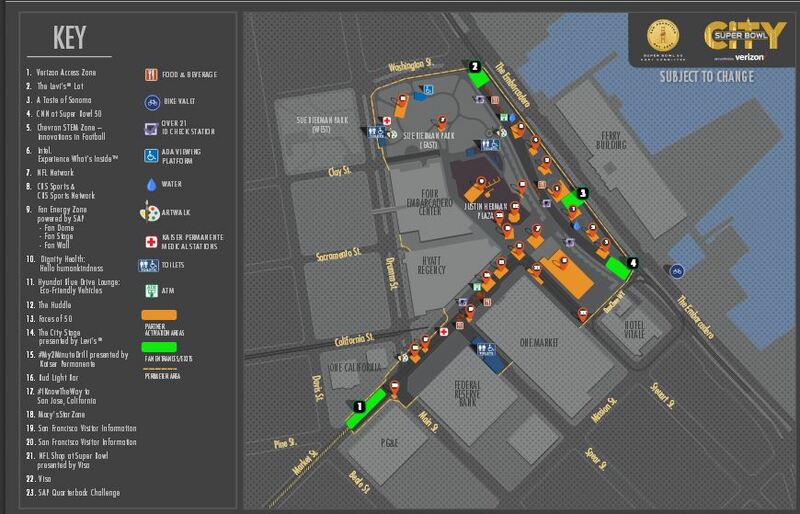 The two biggest events are "The NFL Fan Experience" located near the Moscone Center and "Super Bowl City" located on the Embarcadero. Super Bowl City presented by Verizon is the Host Committee’s free-to-the-public fan village designed to celebrate the milestone Super Bowl 50 and to highlight its unique place in the Bay Area. There are several ways you can make the trip to Super Bowl City. Take Highway 1 north toward San Francisco. Take exit 510. At the light, go straight thru the intersection. If you are in an RV, park in the area on the right. Note your space number, then head for the parking payment machine and type in your spot number. Walk over the bridge to the BART station. If you are in your tow vehicle, enter the parking structure on the left. Again, make sure you note your space number so you can enter it in the parking kiosk. Get off at the Embarcadero exit and you'll find yourself right in the middle of Super Bowl City and the NFL Fan Experience. If you are going to the NFL Experience, follow the same instructions on BART, but get off at the Powell Street exit. Use the to 4th and Market Streets exit. Turn right on 4th. Walk two blocks south to Howard and turn left. The Moscone Center is located on the 700 block of Howard Street. You can also use 511 as your one-stop phone and web source for up-to-the-minute Bay Area traffic, transit, rideshare, bicycling, and parking information. It’s free and available whenever you need it – 24 hours a day, 7 days a week – from anywhere in the nine-county Bay Area. Call 511 or visit 511.org. NEED TO GET TO THE GAME? 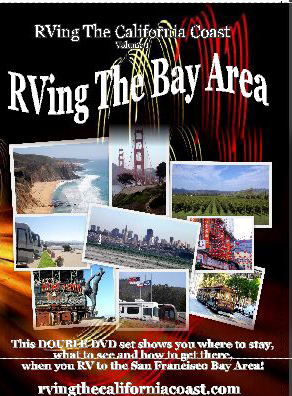 If you HAVE tickets to the game and are staying at Pillar Point RV Park, here is how to use BART to get to the game. While BART doesn’t directly serve Levi’s Stadium in Santa Clara but they can help you get there. Take BART from anywhere we serve to Coliseum Station and connect to Capitol Corridor, an intercity passenger train system whose Santa Clara/Great America station is within view of the stadium. Select Dublin/Pleasanton-Daly City trains will be coordinated with the Capitol Corridor timetable.